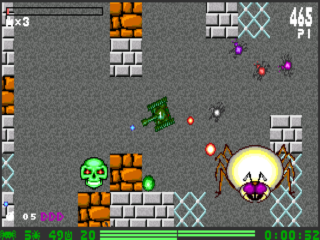 Prerelease version of 2D arcade shooter XPYDERZ. As far as is known, final version never materialized. 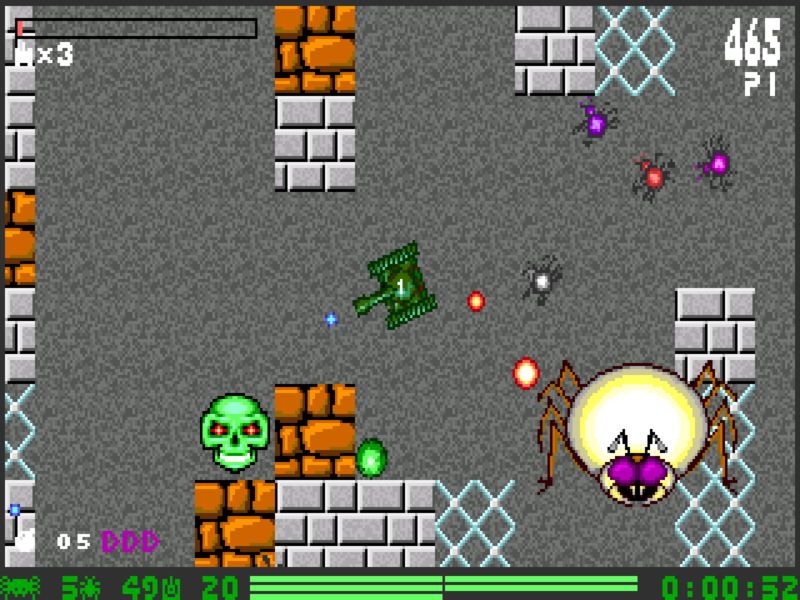 Drive your battle-tank, survive at all cost, shoot everything that moves and don’t get massacred by the evil spiders!